theLender was created to make a difference. As a group of proven industry leaders who recently founded one of the largest and fastest growing Wholesale mortgage companies in the United States, we aim to change the stagnant landscape of Wholesale mortgage – one partnership, one loan, and one day at a time. To foster a simplified, intuitive lending experience so that, together, we can deliver customer-centric solutions to help clients realize their dreams. 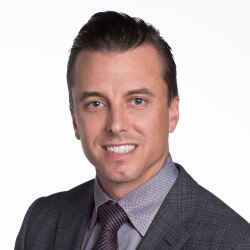 Aaron Iverson is an industry veteran with nearly 20 years in the mortgage industry. Responsible for running wholesale operations funding over $8 billion in the last 4 years he has certainly lived up to the hype. He has risen the ranks at every company he has worked at and continues to be a mortgage industry icon in many ways. Known for his extreme competitiveness yet kind heart he has won over many of those he has worked both for and with. He knows how to create a successful team and will be in charge of doing just that at his newest venture, theLender. 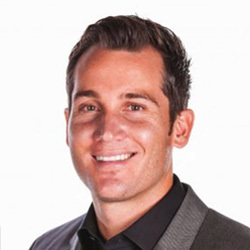 Cory Tona is the EVP of theLender, and he has mastered the art of building successful mortgage companies from the ground up. With a business degree from California State University San Marcos, Cory has always been a true leader and entrepreneur. He is a big believer in the importance of company culture and making sure everyone at theLender is treated like family. As such, Cory is a father of 5 kids and loving husband of 10 years. Whether you are a part of theLender, partner, customer or vendor Cory sets out to treat you like family. He is excited to get to work building theLender and becoming a top 25 lender within the next 3 years. Tom Dinan has over 20 years experience in the mortgage industry. Tom’s background has been in all aspects of FHA, FNMA, Freddie Mac, USDA, VA and Jumbo lending. He has been also directly responsible for all pre-funding and post-funding audit results for production of over $200 million monthly. In addition his responsibilities have included management of all investor or agency repurchases and requests for indemnification. Tom has a proven track record of improving quality control deficiency results and minimizing repurchases or indemnifications to very low level. 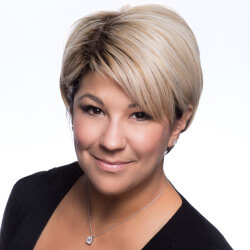 Juju McIntire is no stranger to the Wholesale Mortgage Industry. She comes with 20+ years experience as a powerful leader in the sales force. With her drive and commitment to our industry, theLender and our customers will benefit from her presence. Juju is known for her passion and dedication to the broker world providing unparalleled service. She is the one “who will get the job done!” Becoming a partner with a company with vision, leadership, and integrity has been a lifelong goal for Juju. theLender is not only her new place of business but a place mortgage brokers will call home for many years to come. 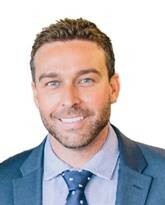 Shane Harris entered the mortgage business immediately after graduating Saint Mary’s College of California in 2001. Through hard work and dedication Shane was able to withstand the great recession which sent most of his former colleagues out of the mortgage business. As a proven sales leader with an entrepreneurial spirit, he recognized that theLender provides the perfect platform for like-minded top producers to transcend traditional business barriers to create a culture of success. Shane is highly motivated, result-focused, and a decisive leader with a successful track record of delivering quantifiable results in the areas of loan production, business development & talent acquisition. 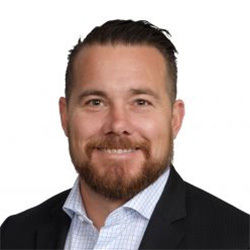 Chris Ledwidge is a co-founding partner of theLender with a demonstrated track record of driving unparalleled customer service and maximum volume and profits for high-activity mortgage divisions encompassing staffs of up to 100 personnel. 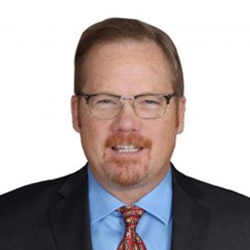 His background in the mortgage industry has historically focused on builder/construction loans and residential mortgages including FHA, 203K, FNMA, VA, Conventional, and NON-QM products. He serves as a member of the executive team for theLender and is directly responsibility for growth, strategic direction and profitability of the retail division. He is committed to excellence, professional communication, knowledge, ability to ‘think outside of the box’ and has consistently produced results far greater than his peers. Nate Borghi is a co-founder in theLender and has over 15 years of mortgage experience. He has a proven track record of going the extra mile with a commitment to service, integrity, responsiveness, and dedication. Nate has a deep understanding of mortgage origination with a focus on FHA, VA, FNMA, Freddie Mac, and NON-QM loans. He is a Results Oriented professional with a demonstrated history of increasing production and profitability while building incredible loyalty and respect amongst colleagues, direct reports, and sales partners. His guarantee for the last 15 years is to provide clear communication and understanding with every profession interaction and he has done just that. theLender is growing fast. And we’re just getting started. We are committed to on-going expansion, and we’d love you to be a part of it. If you’re interested partnering with a Wholesale lender that offers a strategic, intelligent growth plan and a dedication to mutual success, get in touch. Just click below for partnership and licensing information. Why join theLender? To pioneer change. To put the status quo on notice. To be part of something truly transformative. From the way we treat our employees to the dedication to our customers, we just do things differently. If you’re ready for a career with mentorship and development and true commitment. Join Our Team! Email us today at recruiting@theLender.com.